Briar Rose is a historically sensitive retelling of Sleeping Beauty set amid forests patrolled by the German army during World War II.Ever since she was a child, Rebecca has been enchanted by her grandmother Gemma's stories about Briar Rose. But a promise Rebecca makes to her dying grandmother will lead her on a remarkable journey to uncover the truth of Gemma's astonishing claim: I am Briar Rose. A journey that will lead her to unspeakable brutality and horror. But also to redemption and hope. 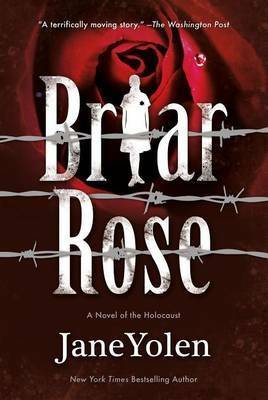 Confronting the deeply tragic events of the Holocaust, Yolen employs lyrical prose and rich characterizations to communicate a tale of good and evil, light and darkness, hope and despair. Briar Rose is an American Library Association 100 Best Books for Teens selection, a School Library Journal Best Books for Young Adults selection, a New York Public Library Best Books for the Teen Age selection, and a YALSA Outstanding Fiction for the College Bound selection. The Washington Post called Briar Rose a terrifically moving story. Jane Yolen is one of America's bestselling authors for young readers. She is the winner of the prestigious Caldecott Medal, the World Fantasy Award, and the Academy of Poets Prize. She has served on the board of Directors for the Society of Children's Book Writers and Illustrators since its inception, and is a past president of the Science Fiction Writers of America.